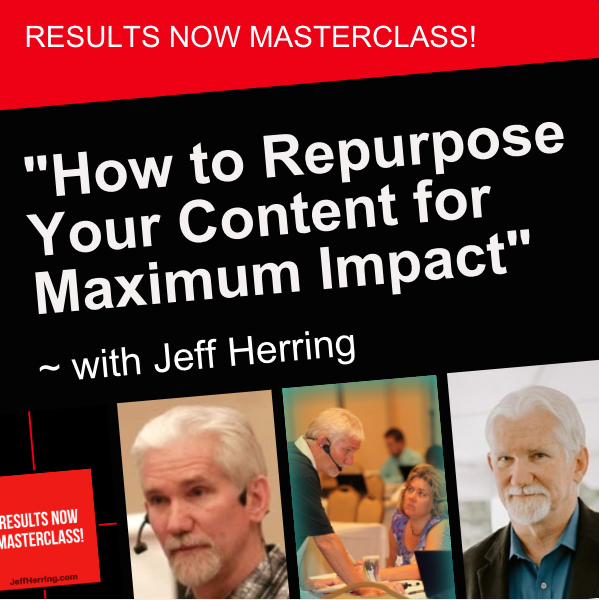 Register here to create your content! 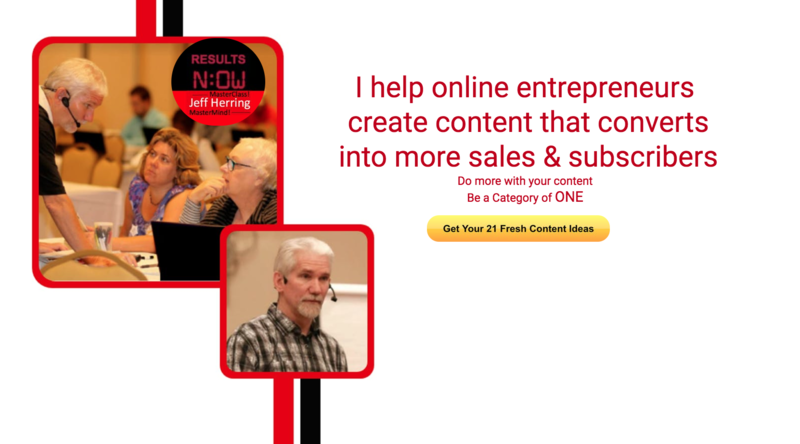 A Note from Jeff: No matter what you are doing on the internet, you must have compelling content to be successful. 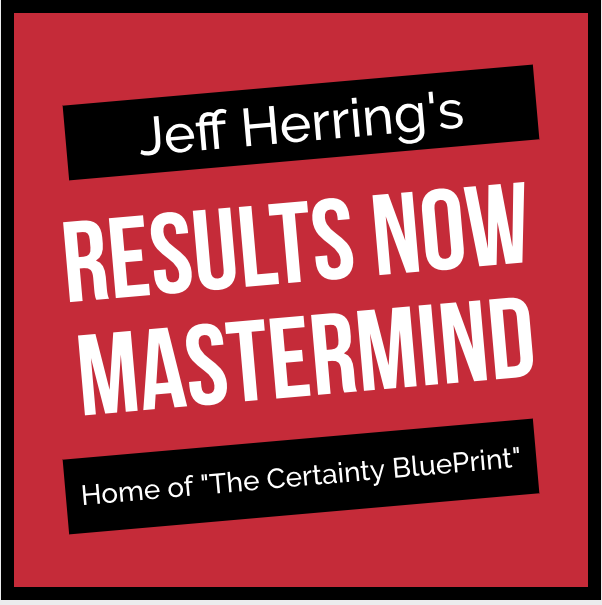 In this 60 minute or less teleseminar, I’m going to walk you through a step by step process that will allow you to create at least one, and maybe two, new pieces of prospect & profit pulling content that you can use right away to build your business! I usually only do these kind of “workshop teleseminars” with my high fee coaching clients, and this is the first time I’ll be revealing these strategies in a public teleseminar. So why am I doing this now? Because we are launching an entire new series of teleseminar and webinar trainings and I want to begin with a bang and get you started right away. So just use the Free Quick Registration Box above, and get started right away!